If you don’t have time to visit all the nations members of the European Union, the easiest solution is to visit Bruparck in Brussels. Inside the Bruparck you can find Mini-Europe, and inside Mini-Europe you can find a park showing some of the most special buildings from all the nations of the EU scaled 1:25 compared to its original size. Some of the buildings featured inside the park are Big Ben, the Eiffel Tower, Grote Markt in Brussels, Arc de Trioumphe in Paris, El Escorial outside Madrid and several other beautiful buildings. The park is open from March until October, and the entrance fee is around 14 Euro per person. The park was first opened in 1989, and it has not been a cheap investment. Some of the monuments alone costed more than 350,000 Euro to make. 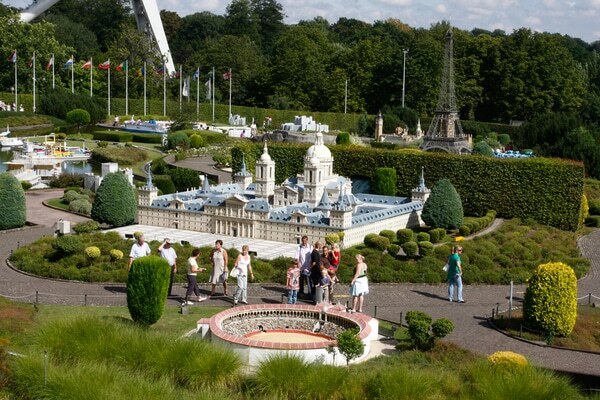 Mini-Europe is absolutely worth a visit!